Now we all know what’s it like being a student. With exams, assignments and classes piling up, life can get a little overwhelming. So for the sake of your social life, read on to discover 10 food places with student discounts to keep your social life afloat. 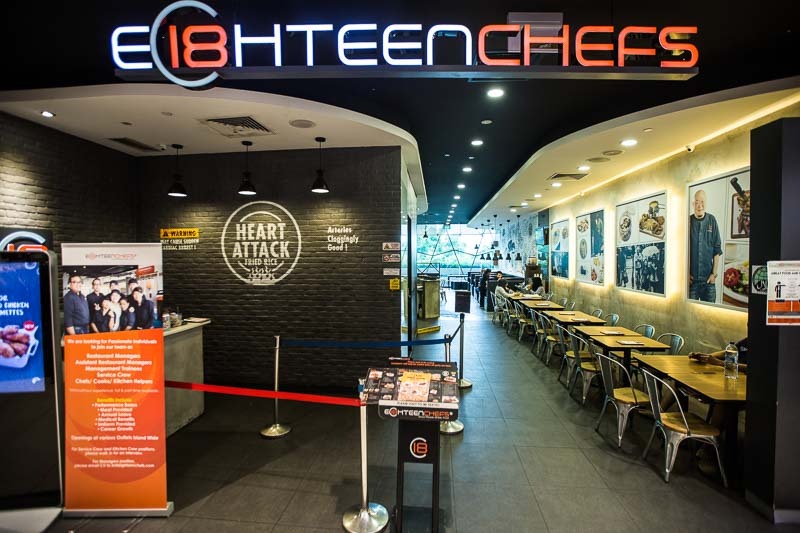 If you love all things cheesy, then Eighteen Chefs is the place to go. The chain restaurant has kept its prices affordable and has won the hearts of a great many students. And guess what? Eighteen Chefs is currently having two student promotions! For just $6.80, students can now get a standard meal which includes a drink and a scoop of ice cream. There’ll be a $2 discount if you opt for more atas toppings from the Red & White Meat Series. These promotions also apply to NSFs as well as senior citizens, so jio your ahma, ahgong or army boyfriend out for a lunch date! Pepper Lunch is a “fast-steak’ restaurant franchise that’s best known for its trademark sizzling serving plates. The restaurant serves steaks, pasta, curry rice and not to mention, pepper rice. And now with the ongoing promotion, broke students like me can finally afford to have lunch here without sizzling away all our money. Prices for the promotional items range from Beef Pepper Rice ($6.90) being the cheapest, to Cheesy Hamburg Steak With Brown Sauce ($9.90) the most expensive. The meal already comes with a soft drink, but you can still opt to upgrade to milo for $0.60. And for the love of kiasu-ness, I implore you to top up $1 to get ice cream. FYI, on a regular meal, it costs double to get ice cream. The food quality is pretty decent, and the portions are quite generous too. Plus, the ice cream comes in four flavours: Choco Nut, Green Tea, Salted Caramel and Black Sesame. What more can you ask for? Hot Tomato is another great eatery if you’re on a budget but would still love to get some really affordable steaks. Grab all your meat-loving buddies, along because this promotion offers five different choices for just $9.50 each! That’s just a tad over how much steak would cost at the Western stalls in hawker centres! Did I mention the sirloin steak also comes with aglio olio? Aside from the Sirloin Steak & Aglio Olio, one other dish that’s surprisingly good at Hot Tomatoes is the Fish & Chips. So if you’re more of a fish person, there’s something there for you too. Fish & Co. has always been reliable when it comes to fish and chips. The quality of the food here remains consistent throughout the years and thus they’ve built quite a fanbase. Aside from having the widest variety of fish and chips I’ve seen, the ratio of price to portion is also fairly reasonable. On weekdays, students can now get a main course and a drink for just $10! Select from six choices such as Peri-Peri Catch, White Fish With Pesto Parmesan and my personal favourite, The Best Fish & Chips. You also have the option to top up $2 to get in on five other premium dishes such as Chilli Crab Spaghetti, New York Fish & Chips and more! The meal also offers a $1 upgrade to Truffle Chips as well as a $3.50 add-on for soup, Buffalo Drumlets or an upgrade to a mocktail. If you love organic parfaits, waffles, acai bowls and froyos, then Nectar/Milk & Honey is the cafe of your dreams. This Singapore-owned dessert bar franchise has multiple outlets across the country, but I find the most chill outlet to be the one at City Square. It is quieter than the others, and they even have free WiFi! The ongoing promotion offers 5% off for a minimum purchase of $8. But before you go squealing in delight, I must let you know that this student promotion only applies to NUS alumni, students and staff. It’s okay if you don’t fall under the any of the aformentioned categories, just go with a friend who’s entitled to this promotion. They had pretty good parfaits, but what I really enjoyed was the Belgian Waffles ($9.70). You can select from three different toppings such as Sea Salt Caramel, Lavender and Chocolate. I found that the Sea Salt Caramel was the best pairing with the waffles. The caramel sauce was rich with a perfect blend of sweet and salty flavours. To top it off, there were caramelised almond bits which added a nice crunch to the dessert. Feeling a little under the weather because of your studies? Let Soup Spoon get rid of all your woes, one nourishing bowl of soup at a time. Come by any outlet on any day of the week for a student set, which consists of a bowl of a soup along with a bread roll and ice lemon tea for just $5.90. The promotion includes all classic soups such as Velvety Mushroom Stroganoff, Roasted Pumpkin and more. However, if you’re more interested in the premium soups, just top up an additional $1. But you and I know that a mere bowl of soup isn’t gonna fill anybody’s belly. And Soup Soon knows it too. Hence, there is also an option to upgrade the set with a half salad or sandwich for $3. Now, this is what I call a complete meal! As someone who absolutely loves Japanese curry, I was over the moon when I heard that CoCo Ichibanya was having a student promotion. On weekdays, from 1.30pm – 3pm, students get to enjoy a 15% discount off the total bill! One thing I liked about the restaurant is that you can customise your dishes according to your preference. And since we’re already on the topic of discounts, let’s talk about 49 Seats. Made famous for their Level 49 Tom Yum Seafood Pasta Challenge, there is an ongoing student promotion that’ll give you 20% off the total bill on weekdays! Now, broke students can sear their studying grievances away with spicy tongue-burning tom yum pasta. 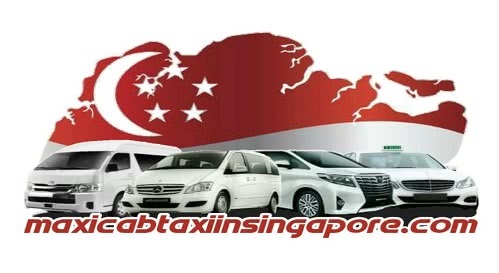 Unfortunately, the promotion is also only exclusive to NUS students, staff and alumni. But as I mentioned earlier, there are still ways to enjoy the promotion, so just get smart with it! Said to be ‘Singapore’s No.1 Korean Fried Chicken’, Chicken Up has taken the country by storm one chicken wing at a time. And with their student promotion, I guess it makes it a whole lot more worthwhile to dine there. All week long, from 11am – 5pm, Chicken Up’s Buangkok outlet will be having 30% off for the daily lunch set menu. In addition, there’ll also be a 50% discount on bingsus as well! So if you’ve got a hankering for tasty authentic Korean fried chicken and icy desserts, you’ve got to get in on this deal. Students, fall in! Korean BBQ restaurant Yoogane has the ultimate student promotion. On weekdays, between 11.30am – 5pm, grab a homie or two and head down to any of the four outlets to enjoy the Yoogane’s Army Stew for just $12.90 per person. The stew consists of Chicken Galbi alongside some standard ingredients such as Shiitake Mushrooms, Tteok (Korean Rice Cakes) and more! There’ll be free-flow toppings, drinks and access to the salad bar. Did I mention you get a free dessert as well? With so many student promotions to choose from, you can treat yourself even if you’re a broke student like me!